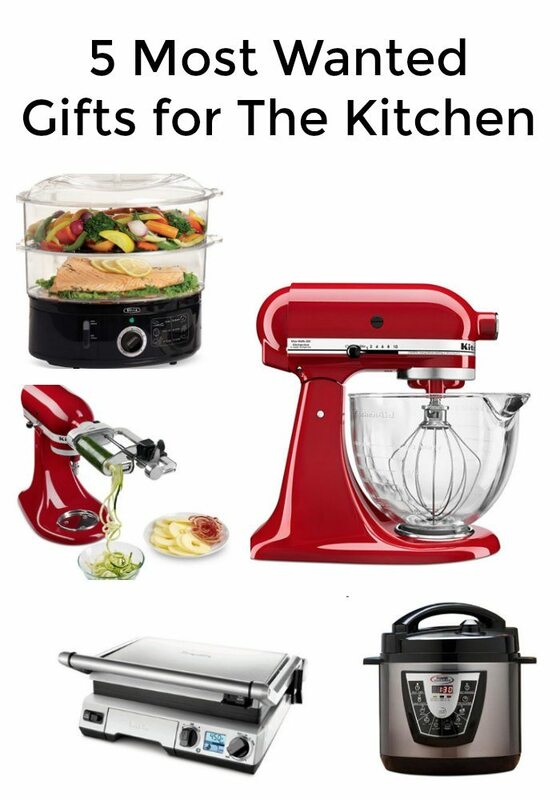 This post about Five Most Wanted Christmas Gifts for The Kitchen is a Macy’s sponsored campaign. All opinions are 100% our own. This post contains affiliate links. There is no way around it, the holidays are quickly approaching. Have you finished your shopping yet? If you are like me, you still have a few people on your list that you have not purchased anything for. Most people on your list have a kitchen, and I bet they would use it more if they had at least some of these Five Last Minute Christmas Gifts for Cooks. What is even better, is that you still got time to find great deals on last minute gifts at Macy’s. 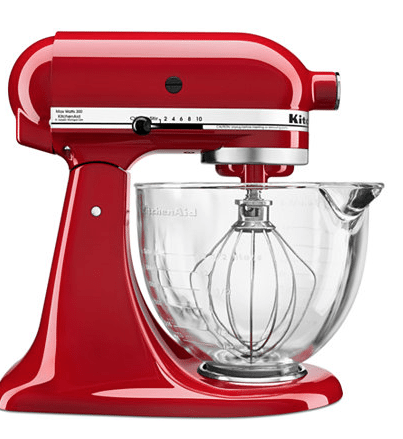 KitchenAide Mixer: Not only can you save $100 at Macy’s, you are not just giving a mixer when you by a Kitchenaid mixer. This KitchenAid 5-qt. stand mixer is a workhorse that looks great on your counter. With 300 watts of power, you can generate the strength to mix cookie dough or the speed for whip meringue. You can make pizza dough in less time than it takes to find the phone number to order one. This is the most used appliance in our kitchen. 2. KitchenAide Mixer Attachments: Buy some KitchenAid attachments too and you have a ice cream maker or spiralizer. Spiraled veggies are a so popular right now, but cost an arm and leg if you buy them already prepared at the grocery store. 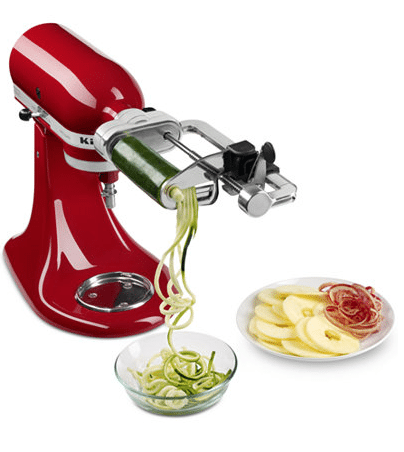 Simply attach this onto your KitchenAide mixer then you can slice, peel & core your favorite fruits & veggies in no time. There are even different sized blades to make the perfect size your recipe calls for. 3. InstaPots are all the rage in kitchens too. Create delicious & healthy meals in 30 minutes or less—just set the timer in the morning and have a tender & flavor-rich meal ready when you come home. It is like having a slow cooker and a pressure cooker in one appliance. 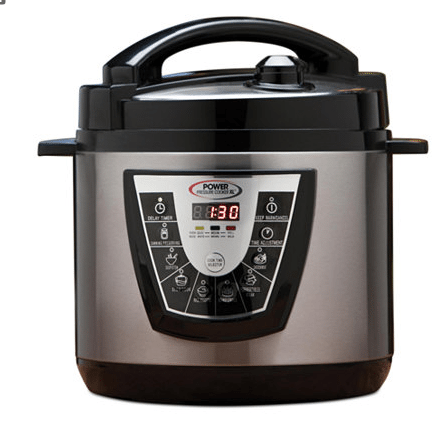 Check out the Tristar XL 6-Qt Power Pressure cooker from Macys.com. You can find hundreds of recipes on Pinterest and Facebook and they all look amazing and are recipes that usually take hours to make. This is definitely going on my wish list this year. 4. Steamer. 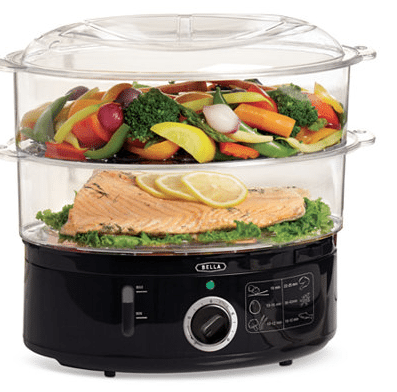 Start the new year off right and get dinner ready faster with this Bella two-tier food steamer. The basket has a 7-liter capacity that allows for multiple dishes at once, or use just one level for steaming smaller amounts. You will be sticking to a healthier diet by cooking with no added fats but still have the flavors of the fresh foods you are preparing. 5. Too cold to grill outside? 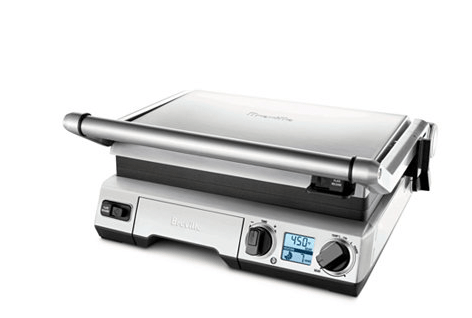 No worries we have you covered with this indoor grill that is not only convenient but The Breville Smart Grill features unique Element IQ technology to sense the temperature of food placed on the surface and maintain correct temperature throughout cooking. Interchangeable nonstick plates open flat to provide more cooking space and are ideal for everything from sizzling steak and eggs to an all out BBQ. Dinner will be ready in minutes and no more burnt chicken. Now that we have shared our favorite kitchen appliances for the new year, be sure to head to Macy’s to get some great deals on these Kitchen electrics.